A Pet Planet franchise provides an opportunity to partner with a seasoned team who share you commitment to uncompromising standards and ethics. From our first conversation until the day you open your store, our step by step training program will help prepare you for your journey to owning you own business. Once your store opens, on-going support, proven programs and supportive marketing initiatives will provide you the opportunity to “live your passion each day” all while making a difference in the lives of your customers and their pets. The very first Pet Planet opened in November 1996 with a firm commitment to animal health and welfare. Since that time, we have established a reputation for being a leader in the specialty health industry through our strict code of conduct and exceptional operating standards. A Pet Planet franchise provides an opportunity to partner with a seasoned team who share your commitment to uncompromising standards and ethics. As an operator in our family, you will receive the very best in training. Our on-going support and proven programs provide you the opportunity to "live your passion" each day, while making a difference in the lives of your customers. A Unique Concept within the fast paced and growing specialty pet health industry. Collective Purchasing Power competitive pricing and support to assist you in day to day operations. Growth Opportunities to expand beyond one location or additional services. Ongoing Training Programs to keep you informed of trends critical to your success. 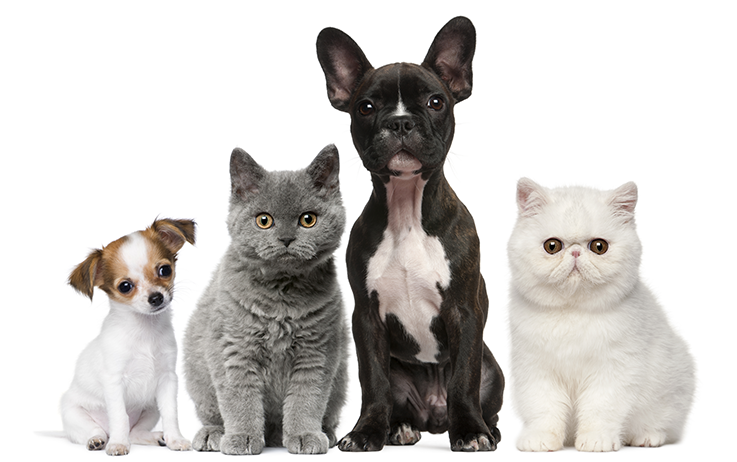 The 2014 Canadian Pet Market Outlook reports that 57% of Canadian households have pets. This equals to 7.5 million Canadian homes. ARE YOU RIGHT FOR THE PET PLANET TEAM? We look for franchise partners with the same dedication to animal welfare and a passion to make a difference. If you dream of being your own boss, want to do something you really care about and have access to an experienced team of professionals, take a further look at Pet Planet's exciting array of opportunities. Bring Pet Planet into your community. The most progressive and advanced concepts in pet care today. Create an atmosphere which encourages trust and provides the perfect environment to build long-lasting relationships with your clients. A wide selection of carefully selected pet health products, toys and accessories focused on providing the very best in pet care. Optional full service grooming and self-wash station components can be integrated to diversify your service offerings and create added value for customers. An integrated educational area with a wide range of regularly updated educational and informative brochures. An interactive pet-health assessment pop-up station - giving your customers a simple way to find out what products meet their pet companion’s needs. Provide your customers a five-star doggy hotel experience with nutritious meals and snacks for all diet types, comfortable sleeping accommodations, playtime and plenty of belly rubs. Pet Planet caregivers ensure a stimulating daycare environment that is clean, safe and fun! Caregivers ensure that pets get the required exercise, healthy meals and play time. An indoor, heated dog pool is the perfect setting for recreational indulgence or fitness regimen - especially during cold winter months. Canine guests who visit the Day Spa can choose from a variety of spa services including a haircut and style, pedicure or facial. Resort facilities encompass a retail store that includes our most popular food and accessory items for Resort patrons on the go. “It warms my heart on a daily basis with the comments that I receive from customers who tell me how we have helped them improve the care they are able to give their pets from the information that we have provided for them. It’s so rewarding to be able to help people. How do I know if I would enjoy being a Franchisee? This is one of the most important questions you can ask yourself. We are not here to “sell” you a franchise. Through our qualification process and discussions, we will help you determine if owning your own franchise is the right thing for you and your family. Not necessarily, however, some retail and business experience is helpful. More importantly, we look for a positive outlook, lots of tenacity and a burning desire to be successful. What are the costs of opening a Pet Planet Franchise? Costs will vary depending on the size of store, whether you offer additional services such as self-wash/grooming, geographic market costs and the availability of construction trades. Our franchise specialists would be happy to discuss these financial requirements with you. Am I expected to be involved? Yes. Your success will be dependent upon many factors, including, but not limited to, your commitment to Pet Planet’s operating systems, active and hands-on involvement in your store and community, and your ability to apply the business skills necessary to run a successful business. Can I own more than one Pet Planet Franchise? Yes, provided that you have demonstrated yourself well in an existing location and are financially capable of operating more than one store. A one time fee of $30,000 per location purchased. How much are ongoing royalties? 6% of gross sales, payable semi-monthly. Your first step towards self-employment is to contact us by using the contact form below. From there, we will arrange a first call to introduce ourselves and explain what to expect through our qualification process. Excited about taking part in a growing market? Are you ready to bring change to animal health and welfare? Fill out our Initial Interest form on the right, and we will get in touch with you!